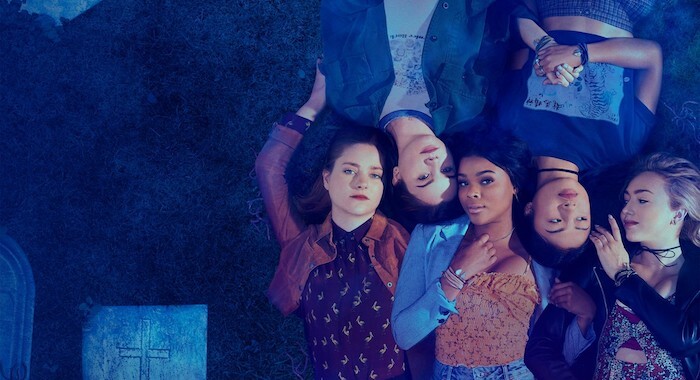 The star of UnREAL and Roswell reveals that Russian Doll episodes are in her viewing queue and she has "Pretty Little Liars" on binge. She also talks about moving from acting to directing, aliens and reboots, and the new episode of Roswell, New Mexico she directed. Shiri Appleby has been on TV since before she was a teenager. 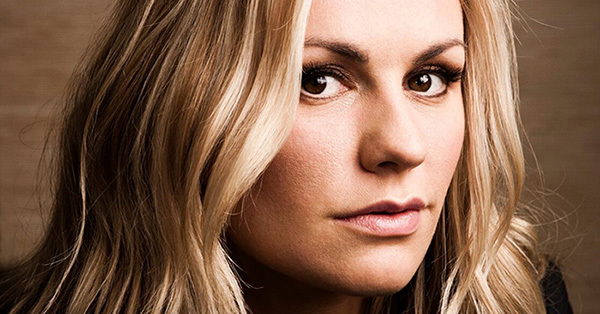 Early on, she guest-starred in shows like 7th Heaven and Baywatch, and more recently, she headlined Lifetime’s acclaimed Bachelor-skewering drama UnREAL. But the actress’ game-changing role was the lead in 1999’s Roswell — a sci-fi drama series that began with her character, New Mexico high-schooler Liz, being shot and brought back to life by an alien. Now, Appleby is stepping behind the camera — and returning to one of her most iconic roles to do so. 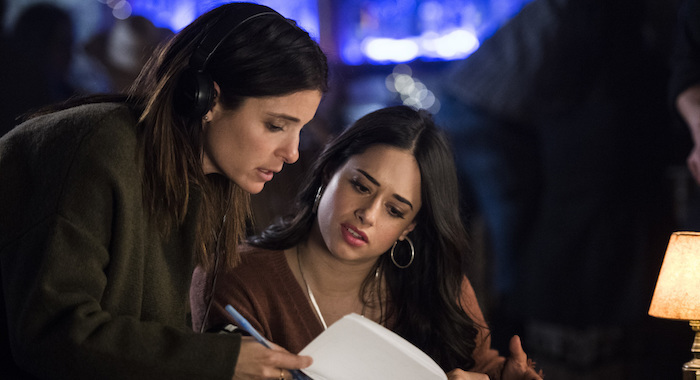 She’s directing the Tuesday, March 19 episode of Roswell, New Mexico, a reboot of her late ’90s series. 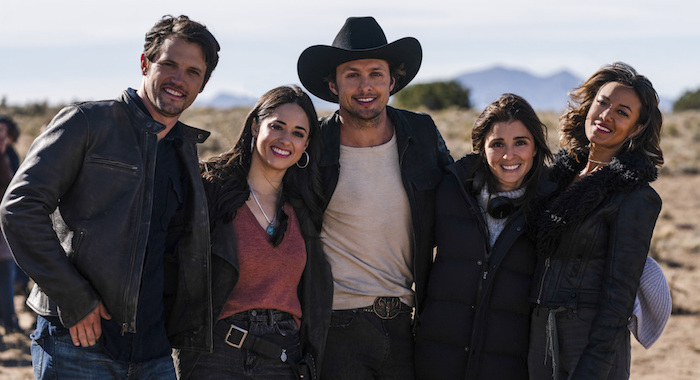 Both iterations of Roswell feature aliens, romance, and feelings of otherness, but in the new series, the characters are 10 years older and their conflicts are much more contemporary. Her upcoming Roswell, New Mexico episode, “Songs About Texas,” will be a first for Appleby. In the past, she’s directed TV episodes in which she also starred. This time, she’s staying behind the camera, but that doesn’t mean she’ll stop acting — she says she’s just “taking a minute” to find the right long-term role. Ahead of the episode, Appleby told us about what she’s been bingeing lately and what’s coming soon for her career — both in front of and behind the camera. The last time I did that I was watching Felicity… That should tell you how many years it’s been. I used to love that show. It was my absolute favorite. There was nothing better than Keri Russell. Right? What’s in your streaming queue? Right now I’m watching Russian Doll. I love Russian Doll … I have been watching Light as a Feather on Hulu. I’m going to direct two episodes of it, so I’ve been really bingeing on that show. I think it’s so charming and wonderful. I was also watching a lot of Pretty Little Liars because I just directed an episode of The Perfectionists. And, I am going to go — which is so funny — to my Netflix account right now so I can tell you what else I’ve been watching. I love to watch a lot of documentaries. I was watching, let’s see, I watched the Fyre documentaries on both Hulu and Netflix. I still watch Stranger Things… I like watching My Next Guest [Needs No Introduction] with David Letterman. I love that. What shows are on your DVR? I don’t watch real TV anymore! I watched Tidying Up with Marie Kondo, and I’ve been cleaning out my closet obsessively since then. What’s coming soon that you’re excited for? The Fix. 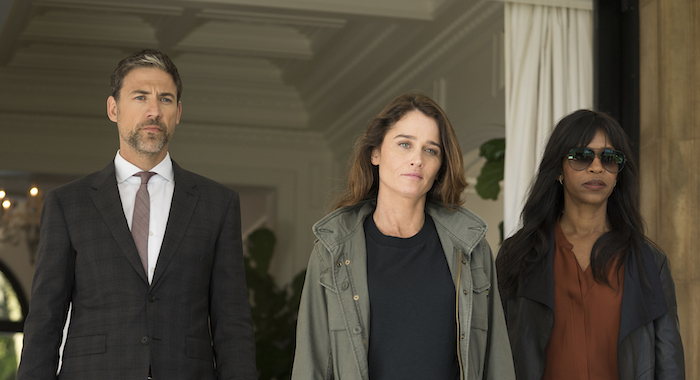 My best friend, Robin Tunney, has a new show premiering on Monday night on ABC, so I cannot wait to watch every single episode of that. Sophie-Marie Prime for Rotten Tomatoes: Did you go back and watch any of the original Roswell while preparing to direct your episode? Well, I had made every single episode, so I felt very confident that I didn’t need to watch it again and see myself as a 20-year-old. I was just going to let myself go and be immersed in the world that they’ve created. Have you been in contact with any of the original cast at all? I know Jason Behr sent you flowers on your first day. Yeah, Jason and I are still in touch. I’ve been actually texting with Katherine Heigl a lot. Colin Hanks I see, and he’s texted. Majandra [Delfino] lives maybe three blocks away from me so I run into her. It’s such a small, little, tiny community. When you think about that experience, it’s like friends from high school. You know, you kind of pick up right where you left off. We all came from such different backgrounds and we’re going through this really out-of-body experience together. It’s kind of fun to get back to each other and see each other. Everyone has kids now, and [it’s fun] to see what’s happened with their lives and their careers. What do you and the rest of the original cast think of the reboot? It’s like building a legacy. It’s a complete compliment. I just feel incredibly flattered. What was your first impression when you saw the pilot for the new series? I thought they did an incredible job of having some very iconic moments that we share: like Liz getting shot in the Crashdown Café and Max coming over and saving her life — those really big moments that were very much a big thread of the original series. Then very quickly it becomes its own show, which I thought was so smart, and it tackles these bigger topics. You know, our show, these kids were in high school and the alien theme was about how everyone felt in high school. You felt out of place and you didn’t feel like you belonged. In today’s story, these kids are in their late 20s and the alien is about illegal immigration. It feels very timely and very relevant. How is it working with Jeanine Mason as the new Liz? I just couldn’t pick someone better to take over the role. She is so impressive as both an actress and a human being. We really had a great time finding ways to get creative with the performance and doing different things. She was just really up for it all. I had a really wonderful time. It felt very much like passing the baton forward. I love what she’s created with this new Liz. What role did the original Roswell play in your career as an actress? Now I’ve been making this transition into directing, and Roswell is the first show that’s given me a job directing where I’m not acting. Because they gave it to me, Marlene King felt more comfortable giving me an episode directing Pretty Little Liars, and now Hulu is giving me two more episodes of Light as a Feather. It’s just continuing to build. Again, Roswell has come in and just been an incredible, huge part of my journey as a director. You’ve had such a diverse career on TV. Do you have any favorite roles that you’ve played? I have this wall in our house where I have my costumes in frames. 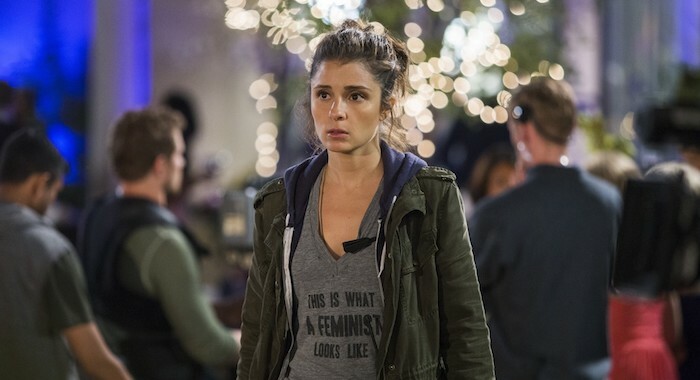 I have the Roswell gunshot [costume] framed and my mic from Life Unexpected, and then I have Rachel Goldberg’s T-shirt that says “This is What a Feminist Looks Like” with a green coat and her little fanny pack [from UnREAL]. Those were definitely my iconic roles. And Girls was an incredible part for me. It really pushed the envelope. To be on a show that was so culturally relevant was really game changing. I think working on Mike Nichols’ movie Charlie Wilson’s War with Julia Roberts and Tom Hanks and Philip Seymour Hoffman and Amy Adams and Emily Blunt — to be surrounded by all of these incredible talents and feel like I had a real seat at the table — that really changed things for me as well. How and when did you decide to jump from acting to directing? Did you always know that was something you wanted to do? When I did Roswell, there weren’t female directors. We had 61 episodes and we had one female director on the last episode. I didn’t grow up seeing an image of a female director, so I never thought it was something that I could have. I definitely spent my time in editing during Roswell and asked a lot of questions and paid attention, but during my 20s, you just didn’t see it. By the time I did UnREAL, I came to them right away, and I was like, “I have done my homework. I am prepared. 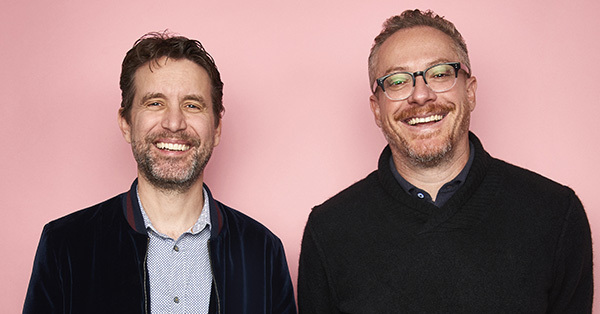 I would really love an opportunity.” I’m really grateful to them that in the second season they gave me an episode to direct. I ended up doing four during the course of the series. What has your experience been like directing a show that you’re also acting in, versus something like Roswell, New Mexico and Pretty Little Liars where you’re not appearing on screen? The difference is that you’re not really splitting your focus, but at the same time when you’re directing and acting, it’s pretty powerful. You know, you’re really in it and you can really command the energy of a scene because your acting is putting that out. So, you can really craft how you want it to be. When you’re not acting in it, when you’re sitting back, you can take a breather and really see the scope of the piece. I think it’s incredibly rewarding to work in this space. All this information that I’ve learned and all of these tricks of the trade, of crafting an episode of performance and an episode of TV — to be able to push that information forward and share with these young actors and watch their performance blossom, it is so gratifying. It’s a way of giving back in some ways, and I am just really relishing it. It’s mentorship from a totally different angle. Absolutely. You know, there are directors that come through your career that really give you these little nuggets that change the way you work. I try to give it as much as I can, because I want to have an impact in the few days that I’m with them. Do you think that there will be an opportunity for you to appear on screen in Roswell, New Mexico? Carina MacKenzie — she’s so talented — if she wants to figure out a way, I’ll do it. Can you share anything else about your upcoming projects? 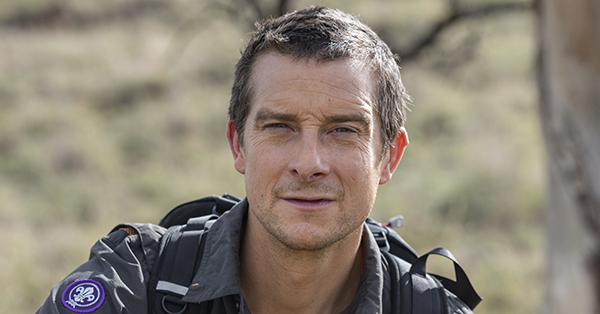 Do you have any on-screen appearances planned? I did an episode of Law & Order: SVU and Lucy Liu was directing it. That was really fun. I just did an episode of Drunk History that aired. But, quite honestly, following up Rachel Goldberg on UnREAL, there are big shoes to fill. I’m just kind of taking a minute to find the right thing… because I really want to give it my all and find the next right character and the next right story.